Soon the bright spotlights of Hollywood will shine high in the sky and the red carpet will be rolled out below. Cinematic star after star will walk that carpet and then take their seat, hoping that the T.V. 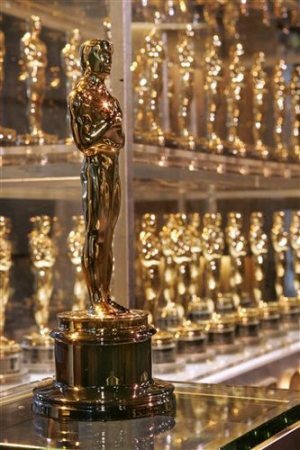 cameras will focus on them as the announcer calls their name to come and claim a coveted Oscar. Yet there are stars who have not sought the limelight or the Award. Some actors, such as Marlon Brando, have even chosen not to attend the Academy Ceremonies to avoid having to accept their award in person. 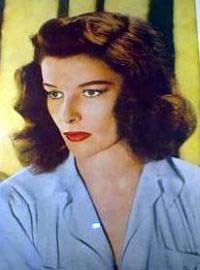 Another such ceremony-shy celebrity was Katharine (or Kate) Hepburn. Born into a socially aware New England family, she was not an actress who needed to be discovered, hopefully drinking sodas at Schwab's Drug Store lunch counter. For you see, her mother, also named Katharine, was a strong willed feminist and a national known suffragist. Along with Margaret Sanger, she co-founded the organization that would become Planned Parenthood. Her efforts were matched by her husband, Thomas Hepburn, who as a doctor also fought for the right of women to obtain safe and complete health care. This was not, as you might guess, a household that produced passive Victorian daughters (or actresses). At every meal the six Hepburn children were encouraged by their parents to speak freely and debate any topic of interest. And while current events and individual sporting activities were often the subjects of dinner discussions, there was one topic and dessert that was enjoyed by all – brownies. But not just any brownies - the brownies of Bertha Palmer, owner of Chicago’s Palmer House Hotel and female extra ordinary. Like the senior Katharine, Bertha was an early advocate of women’s rights – both in the doctor’s office and at the ballot box. Her active support was vital to the success of the Women’s Building at the Columbian Exposition, right down the boxed lunches served there. 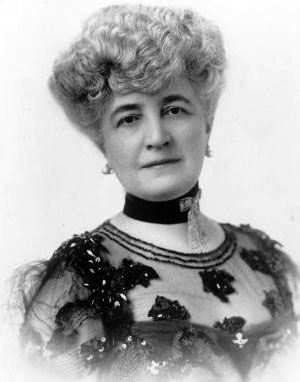 Palmer knew, as many of the early American feminists did, that mutual conversation and supportive fellowship was critical to the success of a national suffrage movement. If the women gathered at the Fair’s Pavilion could be prompted to linger over luncheon, common ground through conversation could be found. But how? What better than a great new dessert – one too good to put down (but not too messy to enjoy). And that was the task that Bertha Palmer set for her skilled pastry chefs at the Palmer House. Their resulting creation was the brownie (see recipe below). It was that same brownie that Kate’s mother served proudly to her progressive family, along with the story of its origin and purpose. These were the same brownies that Kate would later make for Hollywood friends as she passionately explained why talent and truth matters so much more than mere money or annual awards. Let’s hope the Academy remembers this culinary lesson wrapped in sweet chocolate as they honor those who stand in the bright lights of fame brownies, on rich red carpets beneath California's starry skies. In a double boiler, melt chocolate with butter. Add chocolate butter mixture and mix for 4-5 minutes. Pour onto 9-inch by 12-inch baking sheet. Sprinkle walnuts on top of batter and press down slightly into mixture. Bake for 30-40 minutes or until batter has risen ¼ inch and the edges are crisp. In a saucepan, heat and bring to a boil for 2 minutes the water, apricot preserves and gelatin. Brush apricot glaze over cooled brownies with pastry brush. Posted on February 22, 2013 by Ana Kinkaid and filed under Awards, Baking, Chefs, Chocolate, Cooking, Courage, Creativity, Cuisine, Culinary History, Dessert, Films, Food, Hollywood, Movies, Recipes, Sports, Taste, Trends and tagged Academy Awards Bertha Palmer Browniws Katharine Hepburn Margaret Sanger Marlon Brando Oscars Palmer House Hotel Planned Parenthood Schwab's Drug Store Suffrage Women's Rights.